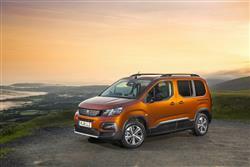 Has Peugeot's van-based Rifter compact people carrier sold out and gone a bit posh and less LCV-like? Don't worry. 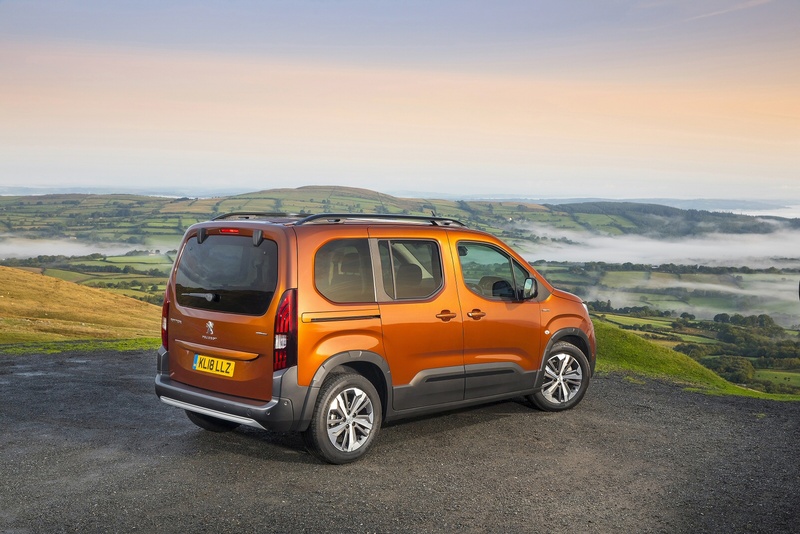 Behind that sleeker looking front end and all that talk of flashy multimedia systems, glass roofs and radar-based city braking functions, you can still buy a basic one that's as useful as the old Partner Tepee model used to be. It's just that you're getting a bit more sophistication this time round. Go back a few years and van-based passenger vehicles were, and there's no real way to gild this one, a bit rough. You bought one because you needed stacks of space and you didn't have a lot of money. Or alternatively, because your kids would destroy anything that wasn't built in the back like a police detention vehicle. These days, things have changed. Not only have commercial vehicles become a lot slicker, but there's been a gradual merging between conventional MPVs and van-based people carriers. There's no longer a yawning gulf in look and feel. Well, that's the case for most manufacturers anyway. For Peugeot, that's a trickier gap to bridge, largely because the interior build quality of their passenger cars has raced ahead massively within the last five years. 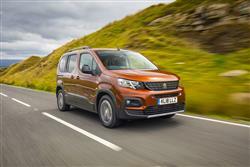 In order to try to keep up, the brand has replaced its previous van-based MPV, the Partner Tepee, with this smarter, slicker Rifter model. 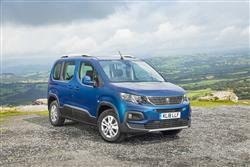 You might expect a couple of petrol engines and a diesel to be offered, but the Rifter weighs in with no fewer than five Euro6-compliant engines. So what's on offer? The petrol options open with a 110PS 1.2-litre PureTech three cylinder unit - with a 130PS version of the same powerplant also available. From there on in it's all diesel. Propping up the range is a 75PS 1.5-litre BlueHDi unit, then there are 100 and 130PS versions of much the same engine, all with Start and Stop fuel-saving technology fitted. The 130PS 1.5 diesel and the 1.2 130PS petrol models are available with automatic gearbox options. There's also another innovation that will be of interest to UK buyers, namely Advanced Grip Control. This is a system that provides enhanced traction on roads or tracks with low grip surfaces, allowing the vehicle to continue to make progress in a situation where a normal two-wheel drive vehicle would struggle. 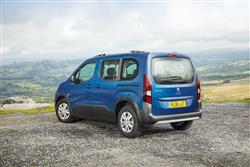 It's combined with a generous ground clearance of 15cm with Mud & Snow tyres. It adapts to the conditions encountered by acting on the front driving wheels. 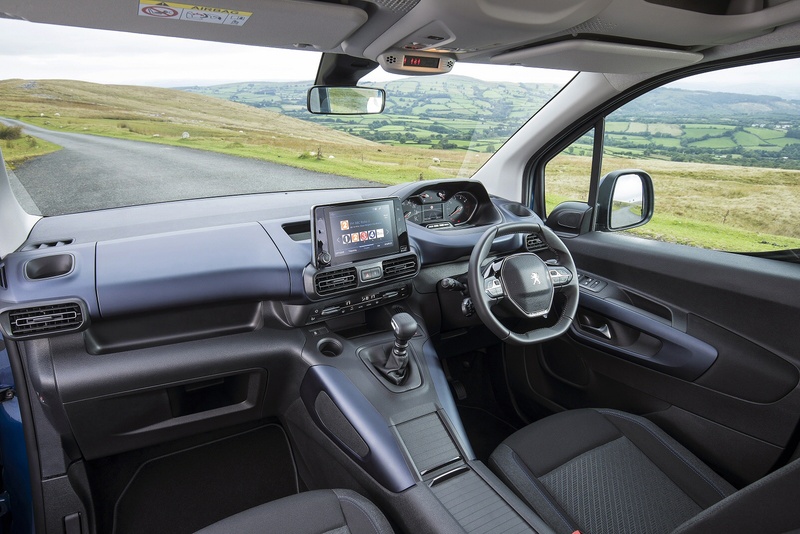 At any time, the driver can choose to allow the system to operate automatically in Standard mode, or can switch it into 'Snow', 'Off-road', 'Sand', or 'ESP Off' modes by using a dial on the dash centre panel. 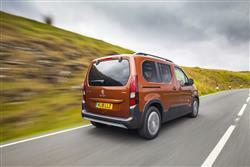 This Rifter model, like its Citroen Berlingo design stablemate, sits on the PSA Group's latest EMP2 platform. 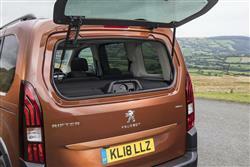 As with the old Partner Tepee, there are two wide sliding side doors and they feature electric windows. 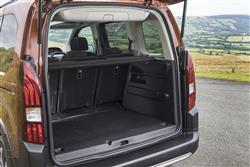 There are two body styles - 'either Standard Length (with five seats) or Long Length (with seven seats). At the wheel, this model uses the innovative 'Peugeot i-Cockpit' design familiar from the brand's other models. 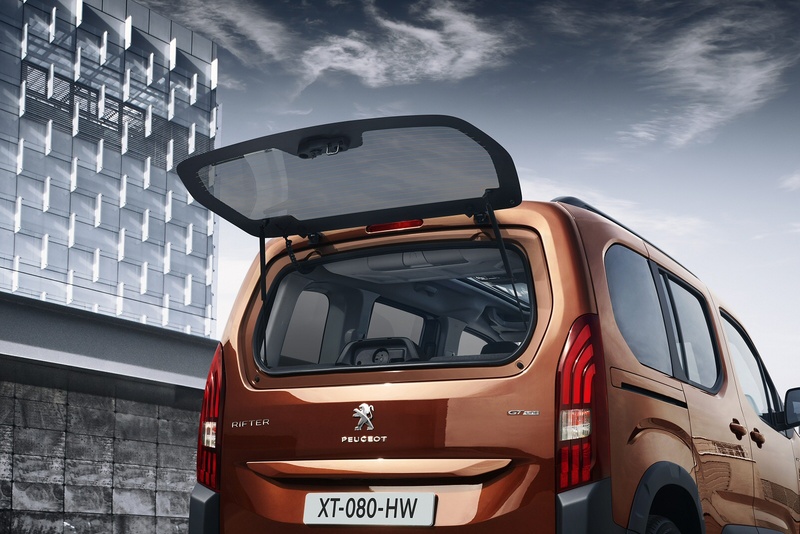 Peugeot claims even more interior versatility this time round and storage solutions abound under every flap and in every crevice with more ingenious inclusions as you ascend the range. There are three individual seats in the rear that can be folded down with a simple movement using the 'Magic Flat' controls in the boot. Combined with a folding front passenger seat, this feature provides a perfectly flat floor and a load length of up to 2.70m for the 'Standard Length' version and 3.05m for the lengthier 'Long Length' model. 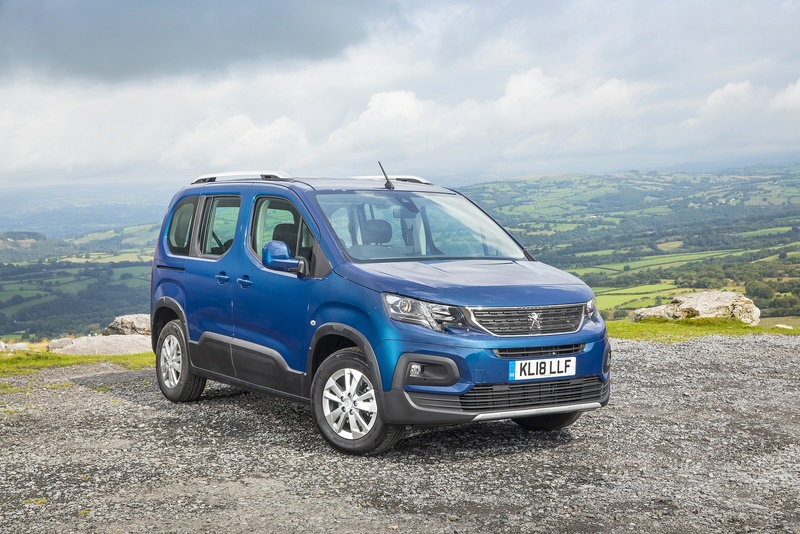 A huge tailgate makes loading easy and there's a class-leading boot volume, increased by 100-litres to 775-litres for the 'Standard Length' model. The boot is easily accessible thanks to the opening rear window in the tailgate and two different height positions for the luggage cover. 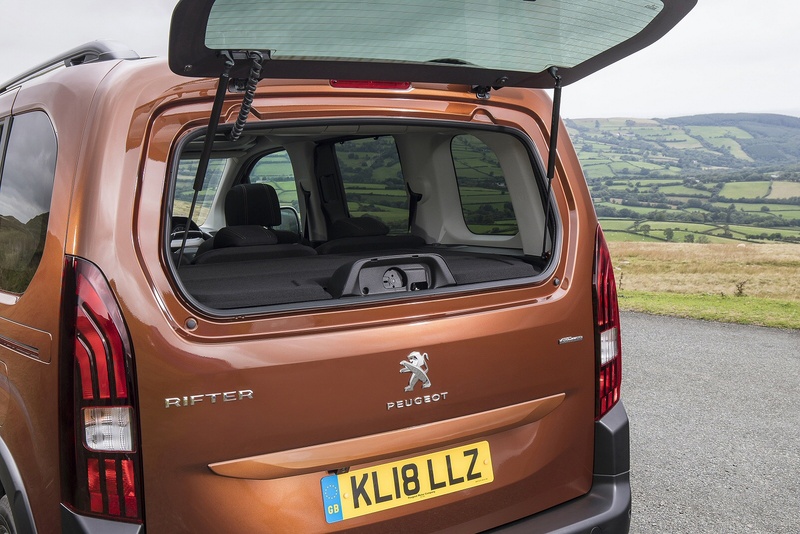 Around the cabin, there are 28 large and ingenious storage spaces such as the new-generation Modutop multi-function roof that also lets more light into the interior. The 'Top Box' glove box is unique to the segment thanks to the 'Airbag in Roof' system. Prices sit in the £20,000 to £25,000 bracket. 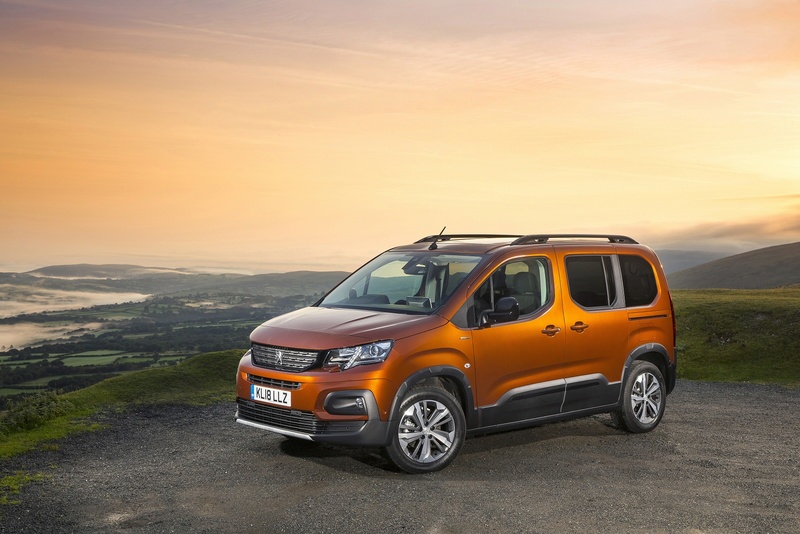 That means that this van-based compact MPV could easily undercut Peugeot's more car-like 5008 7-seat MPV model by £3,000 to £4,000, depending on the variant being considered. Base 'Active' trim includes as standard Lane Keeping Assist, Speed limit recognition and recommendation and Active Safety Brake. Plus air conditioning, electric and heated door mirrors, Bluetooth, a DAB radio and aluminium roof bars. 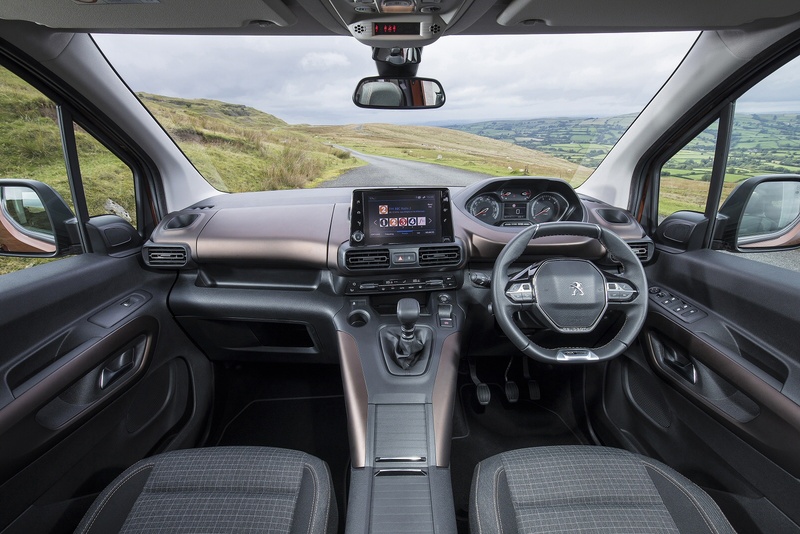 Step up to 'Allure' trim and you get electric rear windows, rear parking sensors, an electric parking brake, tray tables at the back of the front seats, an 8-inch capacitive colour touchscreen with smartphone-mirroring and voice recognition, LED daytime running lights and 16-inch 'Taranaki' Alloy Wheels. Range-topping 'GT Line' trim gives you Connected 3D Navigation, keyless entry, automatic dual zone climate control, power folding mirrors, a panoramic glass roof and 17-inch 'Aoraki' alloy wheels. 'Bianca White' is the standard colour for all trims, with 'Onyx Black' and 'Ardent Red' available as options. Metallic paint in five colours ('Cumulus Grey', 'Nimbus Grey', 'Pearl Sand', 'Deep Blue' and 'Sunset Copper') can also be specified on 'Active', 'Allure' and 'GT Line' variants. 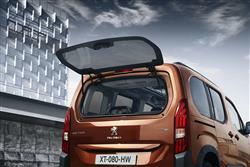 Peugeot has worked hard to drive down tailpipe emissions and deliver strong economy with the Rifter and to good effect. 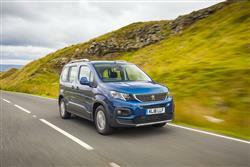 The 110hp 1.2-litre PureTech petrol variant most will want manages 51.3mpg on the combined cycle and 125g/km of CO2. Of course, you'll have to do your bit as a driver in order to get anywhere near the published fuel figures. To help you, the centre dash infotainment screen's 'Trip Computer' section gives you read-outs for current fuel consumption and remaining range. Drive any of the diesel models with a modicum of restraint and you'll be able to get better than 50mpg from them. Enough on engine efficiency. What about other financial considerations? Well, regular service intervals come round every 16,000 miles or 12 months, depending on which comes sooner. If you engage in what Peugeot calls 'Arduous' conditions of use, then you'll need a servicing visit every 10,000 miles or every year. 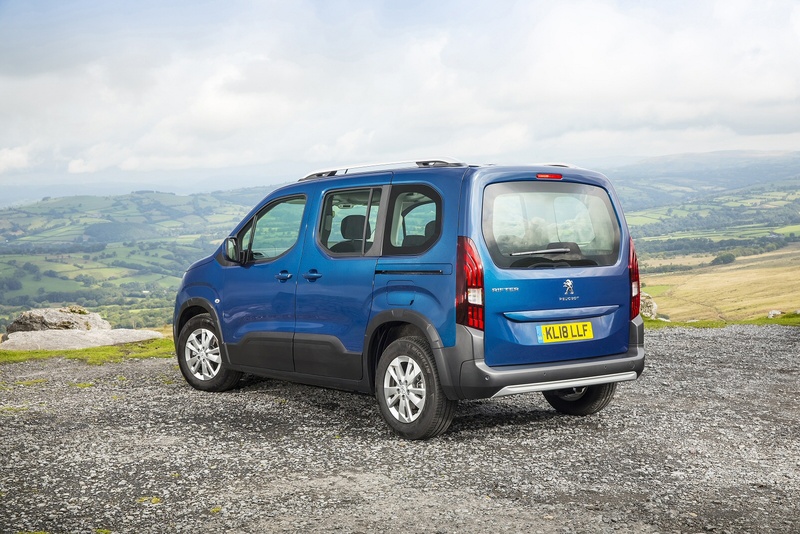 The bottom line is that most owners will need to budget around an annual dealership appointment; there are plenty of Peugeot outlets to choose from, so you should never be too far from one. So you can budget ahead, the French maker offers a maintenance scheme that lets you pay either a one-off fee or monthly instalments to cover the cost of the routine upkeep of your car for as long as three years and 35,000 miles. 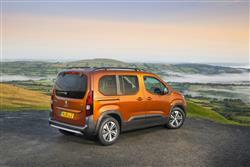 If you�re looking for a new Peugeot Rifter 1.5 BlueHDi 130 Active 5dr EAT8 Diesel Estate for sale, you�ve come to the right place. 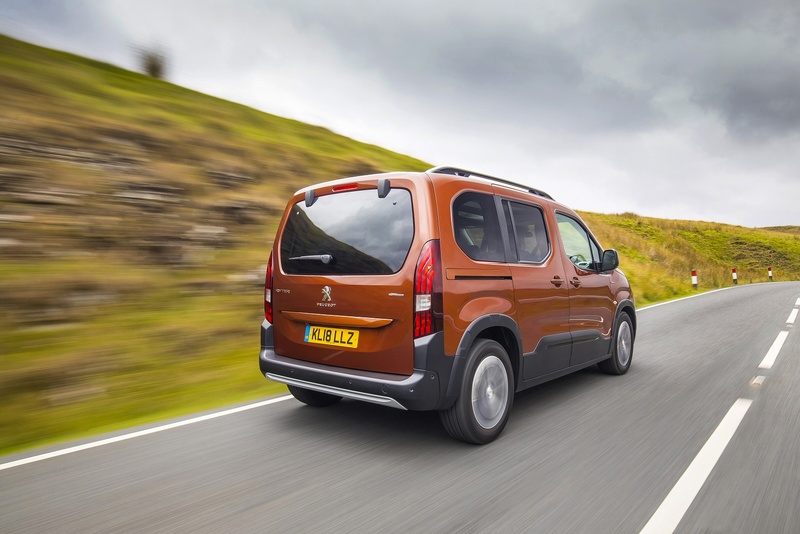 At Bristol Street Motors we don�t just have the best Peugeot Rifter 1.5 BlueHDi 130 Active 5dr EAT8 Diesel Estate deals, we also offer friendly advice and help with all your enquiries to ensure your buying experience is a happy experience.